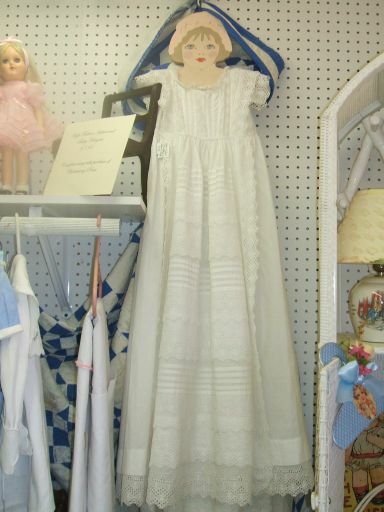 Truly beautiful christening gown and slip from the romantic Victorian era. This is a one-of-a-kind dress for a one-of-a-kind baby. Measurements are as follows: Dress length 30 inches, slip length 36 inches (rows and rows of eyelet lace) falling just below the gown. Chest measures 20 inches around with cap sleeves.